In support of the McGrath Foundation and Breast Cancer Awareness Month. 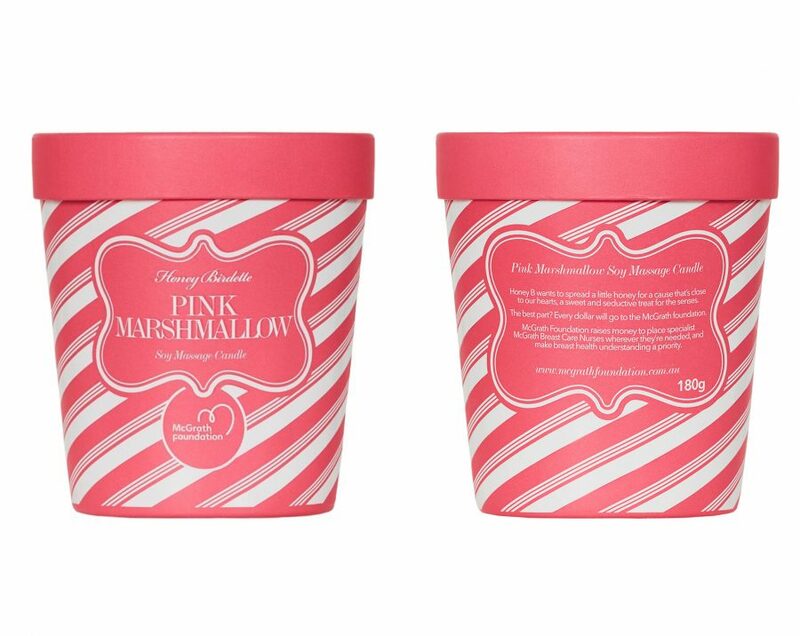 This October Honey Birdette will launch a limited edition Pink Marshmallow Candle to support the McGrath Foundation and Breast Cancer Awareness Month. The best part? 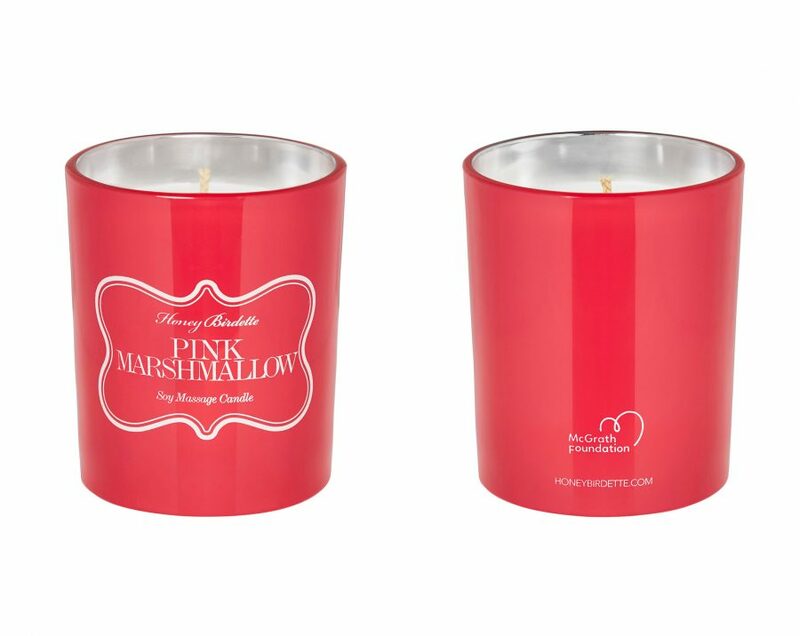 Honey Birdette will donate 100% of all Pink Marshmallow Candle sales to the McGrath Foundation. In order to bring additional awareness to the campaign, Honey Birdette’s in-store and head office team will be giving up their signature red pout. Instead opting for a bright pink lipstick for the duration of Breast Cancer Awareness Month. As part of this campaign Honey Birdette have also pledged a $10,000 minimum donation to the McGrath Foundation.